What a beautiful day for planting trees! Earth Day 2013 could not have been better. 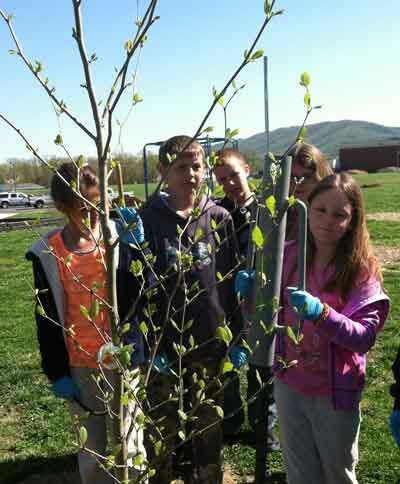 Students and staff of Moorefield Intermediate School along with helpers from WVCA, WVDA, and Hardy County Parks and Recreation helped students at MIS plant 15 shade trees. 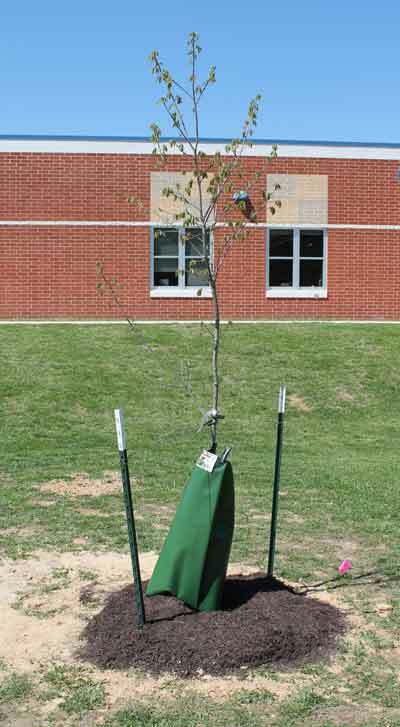 Three additional trees were purchased by the school in memoriam and supplemented the twelve trees provide in the Shade Tree Kit supplied by WV Project CommuniTree. During the tree planting, the students learned about the different species of trees, why trees are important in a landscape, and how to properly plant, stake, mulch and maintain a tree. The students helped place, plant, and mulch and stake the trees and enjoyed getting dirty. Those participating in the events of the day spent from 8:30 a. m. until 2 p. m. planting with an hour lunch break. 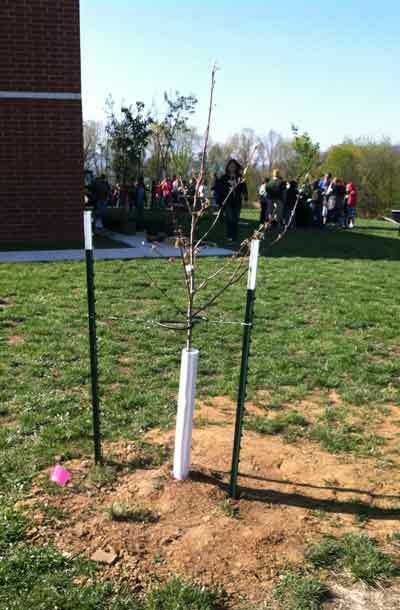 A total of fifteen trees were planted around the playground area. The three supplemental Yoshino Cherries were planted on the west end of the building. 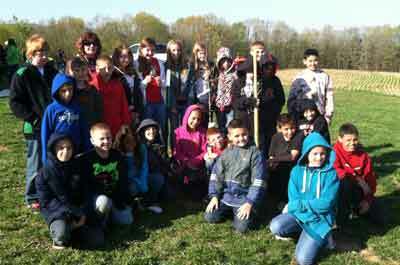 A total of 345 students from third, fourth and fifth grades participated in the planting. This tree planting complimented the dedication of our new MIS playground. Our Board of Education members visited with us, and they along with our entire student body and staff, participated in a formal ceremony to dedicate the playground in memory of Mr. Andy Frederick, beloved teacher.